St Helena Preschool is a community-based preschool set in a beautiful rural environment in Eltham North. 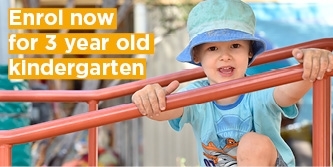 We offer three and four-year-old programs to families in Nillumbik and Banyule shires. Our team of nurturing and experienced educators deliver high-quality and inclusive kindergarten programs that help each child realise their potential. Educators will partner with you – your child’s most important educator – to develop a play-based learning program that builds on your child’s interests and capabilities. In turn, your child will develop vital social, emotional, physical, language and cognitive skills. Even more importantly, our educators will ensure your child is safe, secure and happy while in our centre. Exceptional early learning programs that have been rated as exceeding the National Quality Standard set by the government. Engaging and flexible indoor and outdoor play spaces filled with plenty of natural resources to support learning. Our outdoor play space features a recently renovated sandpit that offers children endless possibilities for imaginative play. 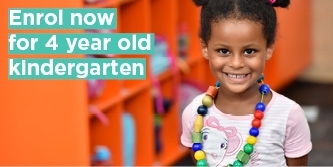 Strong connections with the co-located primary and secondary schools which support children's transition to school. Children can connect with their community and learn in engaging settings outside the centre via our regular excursions, including via regular excursions to the school library and see the school band play. Children participate in a specialised music program—Mini Maestros— in Terms 2 and 3, which builds their confidence, self-reliance and a love of singing, dance and music. Children can build their gross motor skills including hand-eye coordination and ball skills via our fun and educational sports program in Term 4. Busy families love our dental program which includes free dental checkups, plus education about healthy eating for children. "I have had two children, attending both three and four-year-old kinder at the St Helena Preschool. We have been super happy with the staff who run the kinder and seeing the progress of the children. The teachers treat the kids like their own, and it will be sad when we do not have any children at the kinder anymore." - James R.
Play is the best way for children to learn. That's why at St Helena Preschool, your child's learning program will incorporate a variety of open-ended and structured play-based learning experiences. Activities will be guided by your child's interests and capabilities, ensuring your child gets the most out of their early learning experience. Our flexible indoor environment enables educators to set-up a variety of play-based experiences that foster children’s imagination, curiosity and exploration. Your child’s program will be delivered by St Helena Preschool's experienced, passionate and nurturing educators. Our educators are wholly committed to ensuring each child receives the best possible experience at our centre.